Preventive maintenance is vitally important for mechanical systems. Just as the human body requires preventive care and management, so does equipment. When we neglect to care for our bodies, we know what may happen. Taking care of our bodies through preventive care and maintenance enables us to live long, healthy lives. Machines are not human, but they do require preventive maintenance and care to run efficiently and last through a normal lifespan. A preventive maintenance schedule offered by Sims Preventive Maintenance may help preserve the normal life cycle of your HVAC equipment and prevent premature equipment failure. Sims Preventive Maintenance has conducted preventive maintenance since 1977. Let us help you cut energy costs by performing preventive maintenance on a regular schedule and keeping your HVAC system in peak condition. Regular preventive maintenance helps reduce costly downtime due to neglect. It also saves money—money that could be used to increase your bottom line. You may think that a maintenance program is difficult and costly to implement. Or you may think that your company is too small for such a program. Let us assure you: Sims Preventive Maintenance is the HVAC repair company that can customize a preventive maintenance plan for any facility. 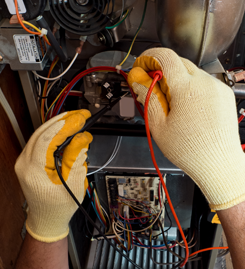 The important thing is to get started on a plan that preserves the life expectancy of your HVAC equipment. Start saving money right away. We have plans for virtually any size budget. Give us a call and let us help you today.